We can help build your perfect itinerary or simply select and plan yourself using our Victoria Falls Route Planner. 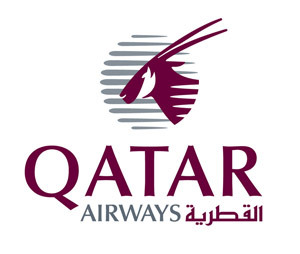 Qatar Airways are continuing their plans to fly into Victoria Falls from Doha, but for now you can book British Airways, from anywhere in the world to Victoria Falls or Livingstone, at www.ba.com. The airline codeshares with Comair, who provide daily flights between Johannesburg and Victoria Falls/Livingstone Airports. Air Zimbabwe also offers flights between Victoria Falls Airport and other destinations within Zimbabwe - NB please check whether Air Zimbabwe is operating at the time of your visit, as recently their schedule has not been reliable, and they ceased operations for a period of time. Kenya Airways connect Cape Town and Nairobi to Livingstone currently 4 times a week and direct flights can also be booked from Nelspruit Airport (Kruger National Park) to Livingstone three times a week, via Airlink. Any flights from Kruger to Victoria Falls must go through Johannesburg. The roads within Zimbabwe are not very good, with potholes commonplace. The most direct way to Victoria Falls overland is from Bulawayo. There is a good road network from the South African border at Beit Bridge right through to the falls. It's possible to drive in through Livingstone. Crossing an international border with a vehicle, however, this will incur extra costs like carbon tax and insurance. Coming from Namibia or Botswana, the best road is from Kasane in Botswana using the Kazungula border post. Distance to Vic Falls is 70 km. If you stay in one of our recommended premium hotels or lodges, they will be able to assist you with your travel needs. Should you wish to book transfers yourself, you can make a request directly through our recommended ground handler, Love For Africa. Depending on the type of passport you have will determine the visa required. UK passport holders will receive a visa in both Zimbabwe or Zambia on arrival, either single or double entry will be provided for $50-US$70. South African passport holders do not require a visa. We would advise to check with your hotel or lodge prior to booking your flight or embassy in your country. Our ground handlers also have a wealth of visa and other information, including details of a new Uni Visa, click here.